INSERTEC returns this year to the 23rd International Recycled Aluminum Conference, managed by Metal Bulletin Events. 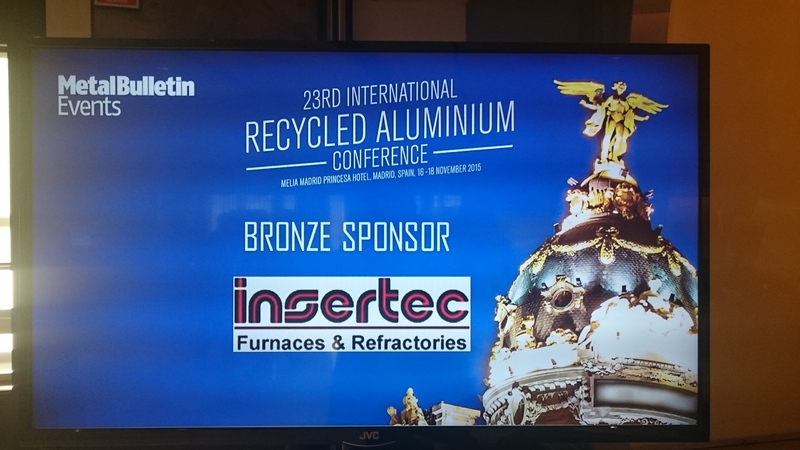 The conference took place in Madrid (Hotel Meliá) from16th of November to 18th . The main value of the congress has been once more the networking possibilities. The evaluation this year has been very positive, because of the number and quality of the contacts that we have done. The main sponsor of the event has been Hydro. Other participant firms include Hencon (NL), Redwave (AT), SciAps, Inc. (USA), Thermo Scientific (USA) and Tomra Sorting Recycling (NO).